For the 1973 album by Bryan Ferry, see These Foolish Things (album). For the film, see These Foolish Things (film). For the 1938 stage show, see These Foolish Things (revue). It is one of a group of "Mayfair songs", like "A Nightingale Sang in Berkeley Square". Maschwitz wrote the song under his pen name, Holt Marvell, at the behest of Joan Carr for a late-evening revue broadcast by the BBC. The copyright was lodged in 1936. According to the Oxford Dictionary of National Biography, British cabaret singer Jean Ross, with whom Maschwitz had an extramarital liaison, was the muse for the song. Billie Holiday's rendering of the song with Teddy Wilson's orchestra was a favorite of Philip Larkin, who said, "I have always thought the words were a little pseudo-poetic, but Billie sings them with such passionate conviction that I think they really become poetry." Holiday's version of the song peaked to No. 5 on the Billboard Pop Songs chart. 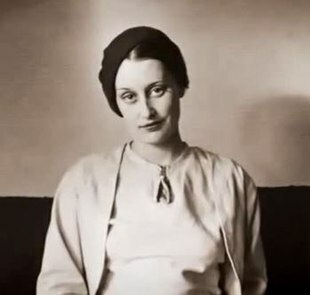 Jean Ross, a British singer and actress, purportedly inspired Maschwitz's lyrics. Although Maschwitz's sharp-tongued wife Hermione Gingold speculated in her autobiography that the haunting jazz standard was written for either herself or actress Anna May Wong, Maschwitz's own autobiography contradicts such claims. Maschwitz cites "fleeting memories of [a] young love" as inspiring the song. Most sources, including the Oxford Dictionary of National Biography, posit cabaret singer Jean Ross, with whom Maschwitz had a brief romantic liaison, as the muse for the song. When the song was written, Maschwitz was Head of Variety at the BBC. It is a list song (Maschwitz calls it a "catalogue song" in his biography), in this case dilineating the various things that remind the singer of a lost love. The lyrics – the verse and three choruses – were written by Maschwitz during the course of one Sunday morning at his flat in London between sips of coffee and vodka. Within hours of crafting the lyrics, he dictated them over the phone to Jack Strachey, and they arranged to meet the same evening to discuss the next step. The song was not an immediate success and even Keith Prowse, Maschwitz's agent, refused to publish it, releasing the copyright to Maschwitz himself – a stroke of luck for the lyricist. Writing in 1957, he claimed to have made £40,000 from the song. Despite being featured in Spread it Abroad, a London revue of 1936, it aroused no interest until the famous West Indian pianist and singer, Leslie Hutchinson ("Hutch") discovered it on top of a piano in Maschwitz's office at the BBC. "Hutch" liked it and recorded it, whereupon it became a great success and was recorded by musicians all over the world. This first recording by "Hutch" was by HMV in 1936. Popular versions in the USA in 1936 were by Benny Goodman, Teddy Wilson with Billie Holiday, Nat Brandywynne, Carroll Gibbons and Joe Sanders. The song was translated in French under the title Ces petites choses ("These small things") and recorded by Jean Sablon in 1936 and by Ann Savoy in 2007. "(Can You) Feel It Part 1"
(1963) "Signed, Sealed, and Delivered"
Various other versions have been recorded including vocal arrangements featuring: Nat King Cole (on Just One of Those Things in 1957), Bing Crosby (recorded December 15, 1944), Billie Holiday, (with Teddy Wilson in 1936) Johnny Hartman, Frankie Laine, Sam Cooke, Sarah Vaughan, Ella Fitzgerald, Etta James, Aaron Neville, Frank Sinatra, (Point of No Return, 1961), Sammy Davis Jr ("When the Feeling Hits You! ", 1965), Yves Montand, Bryan Ferry, Cassandra Wilson (Coming Forth by Day, 2015), and Rod Stewart. It was sung by Florence Marly in the Humphrey Bogart film Tokyo Joe (1949). James Brown recorded the song three times: a 1963 recording with strings which charted at No. 25 R&B and No. 50 Pop, Bryan Ferry covered the Dorothy Dickson version of the song for the title track of his first solo album These Foolish Things by Island Records in 1973. Cassandra Wilson included the song in her 2015 album Coming Forth by Day. ^ De Lisle, Tim (1994). Lives of the Great Songs. London: Pavilion Books. p. 40. ISBN 1-85793-051-7. ^ a b c d e Maschwitz 1957, pp. 77-79. ^ 250 All Time Hits (Book 3). London: Wise Publications. 1990. p. 250. ISBN 0-7119-2346-9. ^ a b c d e Parker 2004. ^ a b c d Frost 2013. ^ a b Brown 2016. ^ a b Gingold 1989, p. 54. ^ Took, Barry (2004). "Maschwitz, (Albert) Eric (1901-1969)". Oxford Dictionary of National Biography. Oxford: Oxford University Press. Retrieved 18 February 2010. ^ a b Maschwitz 1957, p. 79. ^ Whitburn, Joel (1986). Joel Whitburn's Pop Memories 1890-1954. Wisconsin, USA: Record Research Inc. p. 594. ISBN 0-89820-083-0. ^ "A Bing Crosby Discography". BING magazine. International Club Crosby. Retrieved 9 September 2017. ^ "Coming Forth by Day". Allmusic. allmusic.com. Retrieved 15 January 2019. Brown, Helen (18 February 2016). "Muse, The Witham, Barnard Castle". The Northern Echo. Retrieved 18 November 2018. Frost, Peter (31 December 2013). "Jean Ross". Morning Star. Retrieved 18 June 2018. Gingold, Hermione (1989). How to Grow Old Disgracefully. New York: St. Martin's Press. p. 54. Maschwitz, Eric (1957). No Chip on My Shoulder. London: Herbert Jenkins. pp. 77–79. Parker, Peter (September 2004). "Ross, Jean Iris (1911–1973)". Oxford Dictionary of National Biography. Oxford University Press. doi:10.1093/ref:odnb/74425. Retrieved 18 June 2017.